Cleaning a property exterior isn’t just limited to windows; ensuring that fascia, soffit & cladding look great is also incredibly important. At Chelmer Window Cleaning, we specialise in fascia, soffit & cladding cleaning for commercial and domestic clients throughout Essex and North East London. Not only does the cleaning of fascia, soffit & cladding reduce the build-up of dirt; it also eliminates the risk of permanent staining, making it a cost effective way of improving the look and feel of any property. Fascia, soffit & cladding cleaning can add value to any property, so make sure yours are cleaned by experienced professionals. Call us today on 07900 933740 to arrange your FREE property survey and no obligation quotation at your convenience. Regular cleaning by professional and experienced cleaning experts makes a huge difference to the look and feel of any property exterior. It will reduce the level of build-up of dirt and other materials and eliminate the risk of permanent staining; especially important for a business property where first impressions are vital. 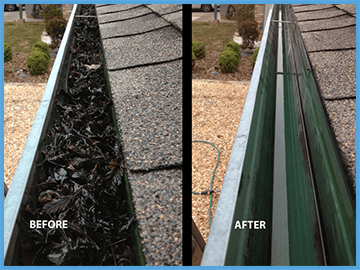 Using the latest materials and technology, we ensure that every fascia and soffit we clean looks spectacular. We do this because regular fascia, soffit & cladding cleaning can add real value to any domestic or commercial property. No matter if your fascia, soffit & cladding are made from uPVC or aluminium, we will clean them to the highest possible standards using the very latest techniques and equipment.